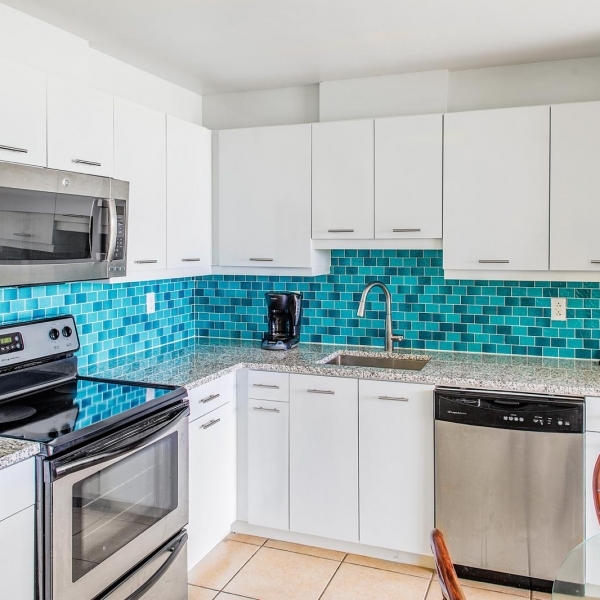 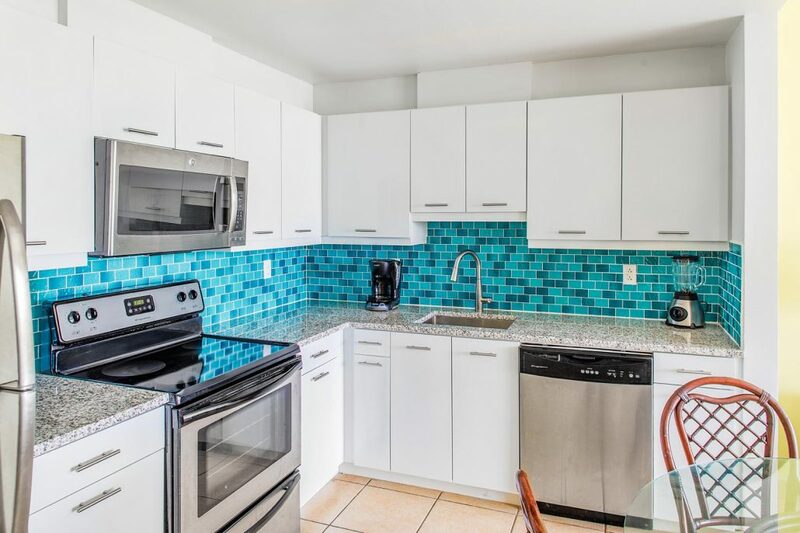 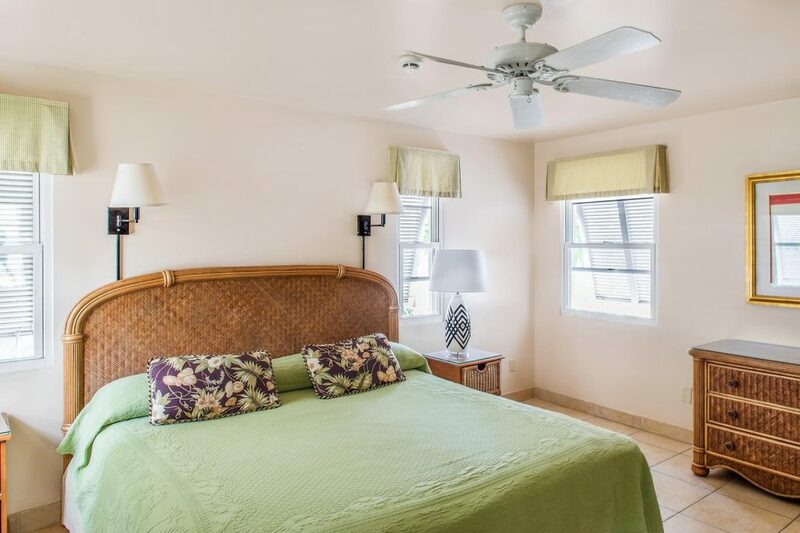 Unit 4106 is a spacious & newly renovated two bedroom, 2.5 bathroom condo suite, tastefully decorated with Italian tile flooring and tropical colors. 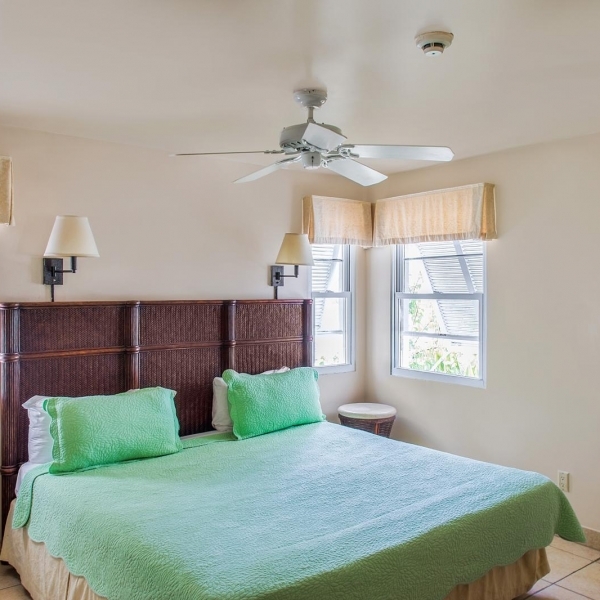 Each bedroom has a king sized bed and an en suite bathroom with walk-in shower. 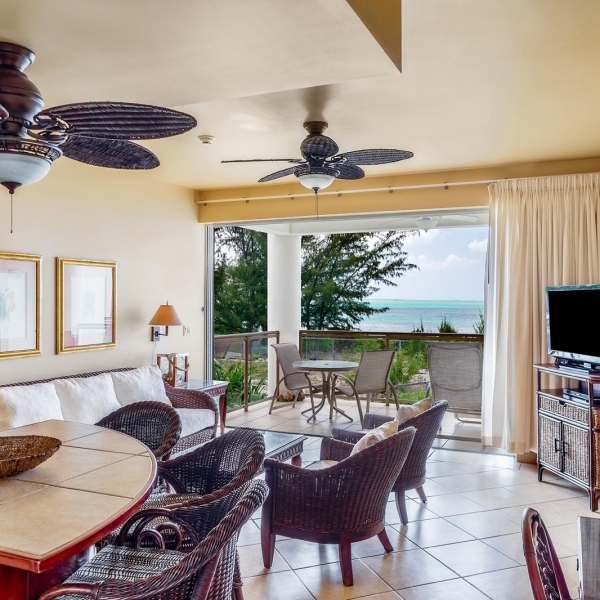 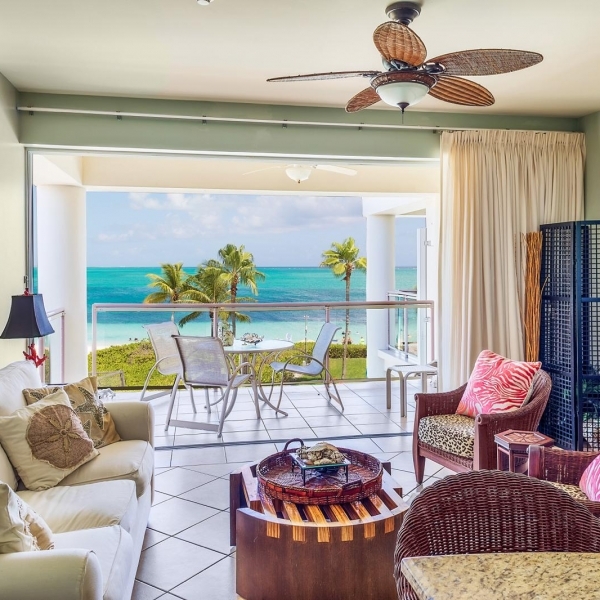 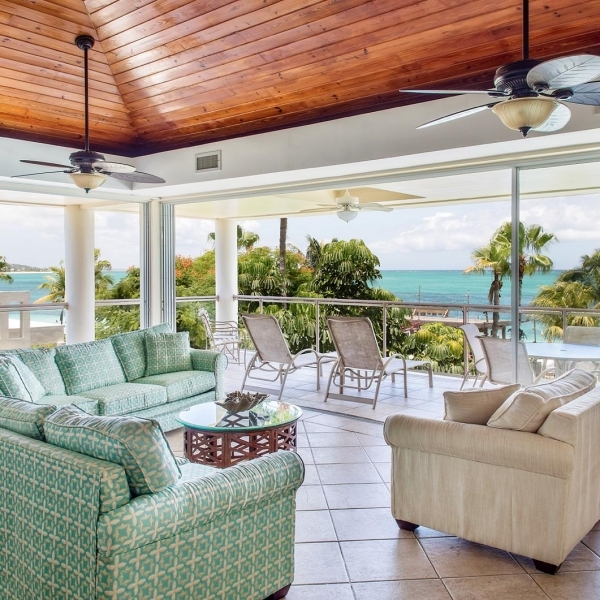 This beachfront unit has wireless internet, HD large screen TV with DVD player in the living room, flat screen TV’s in each bedroom, a fully equipped kitchen, original artwork and a bright airy decor. 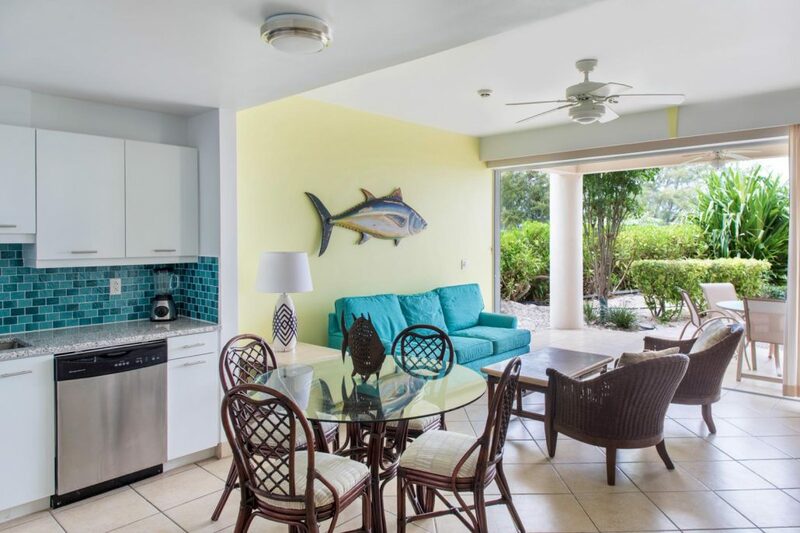 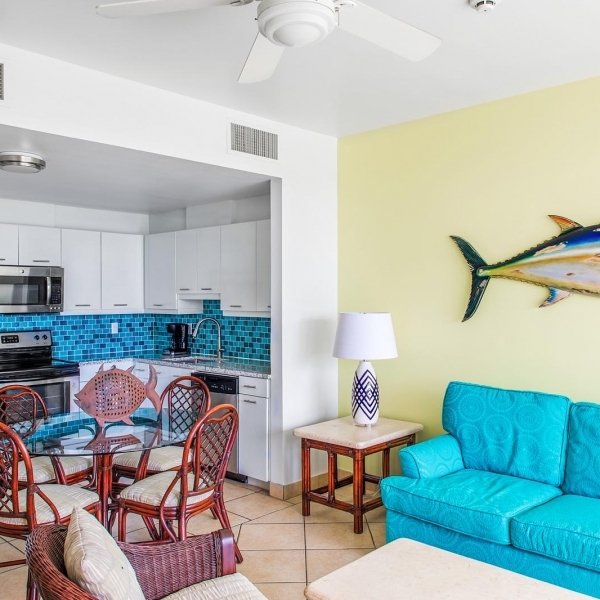 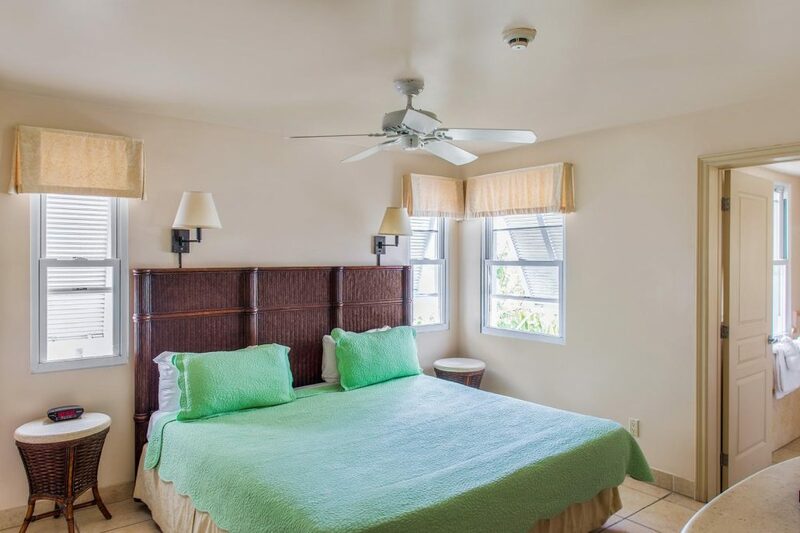 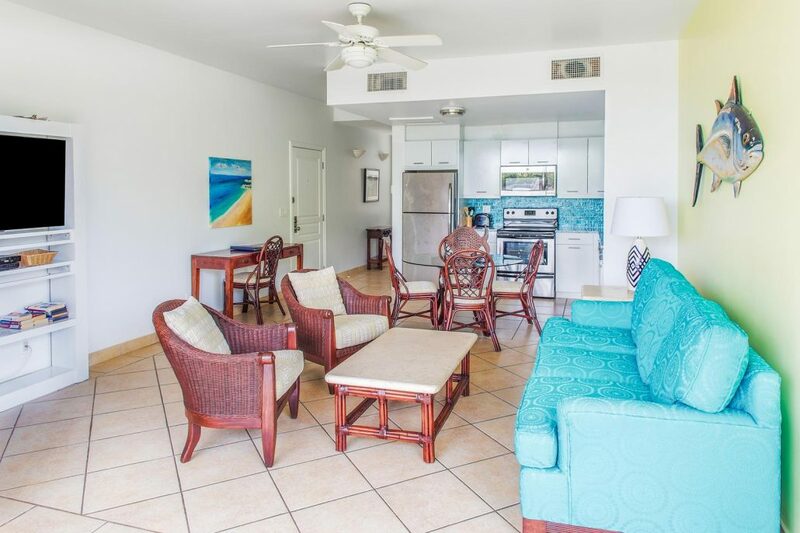 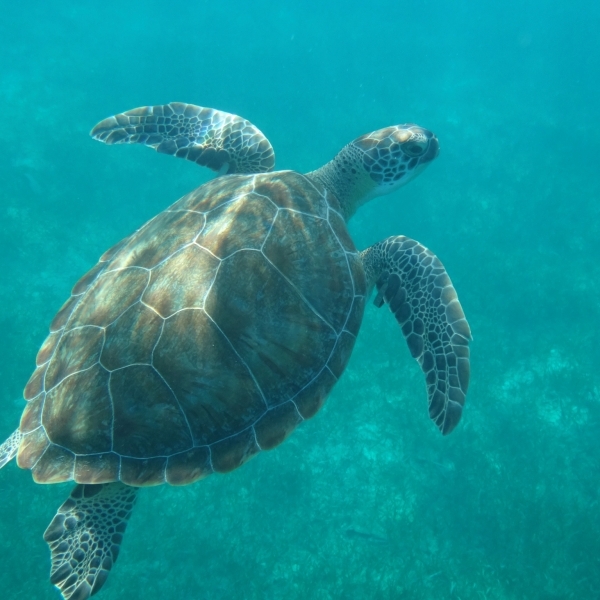 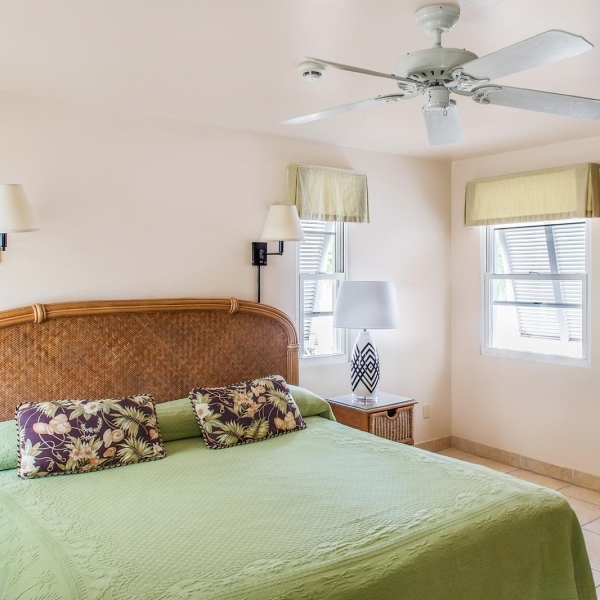 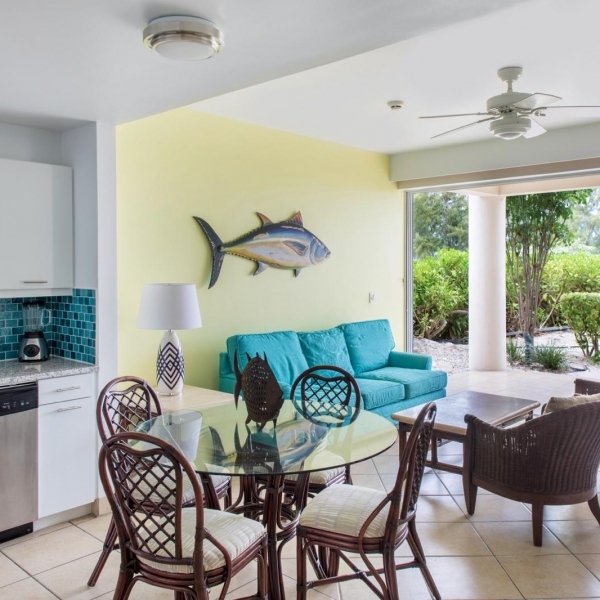 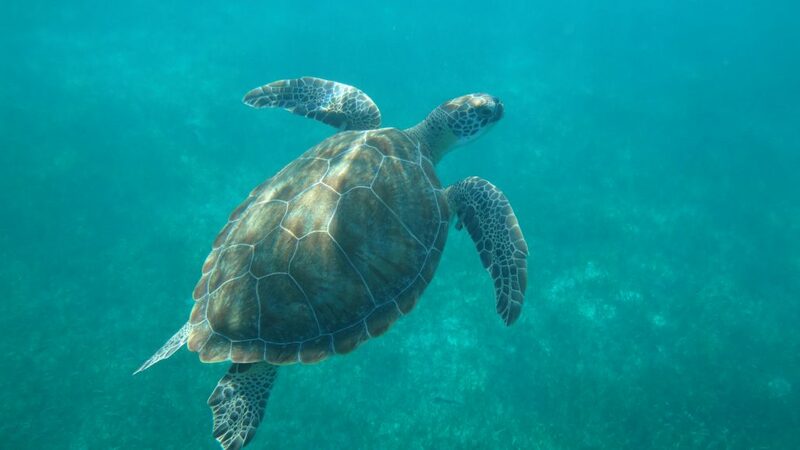 This is a ground floor unit, just steps out the patio and the best snorkeling beach on the island (where the owners took the pictures above of the turtle and spotted Eagle Ray)! 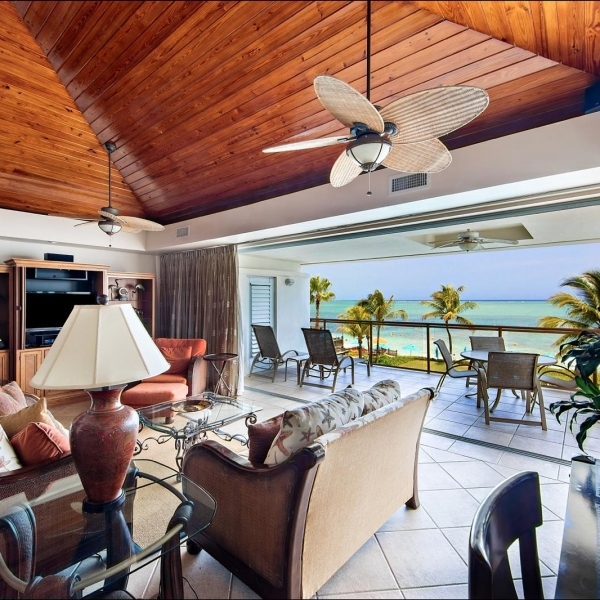 Rick and Aleta’s condo was very private, well laid out and beautifully furnished. 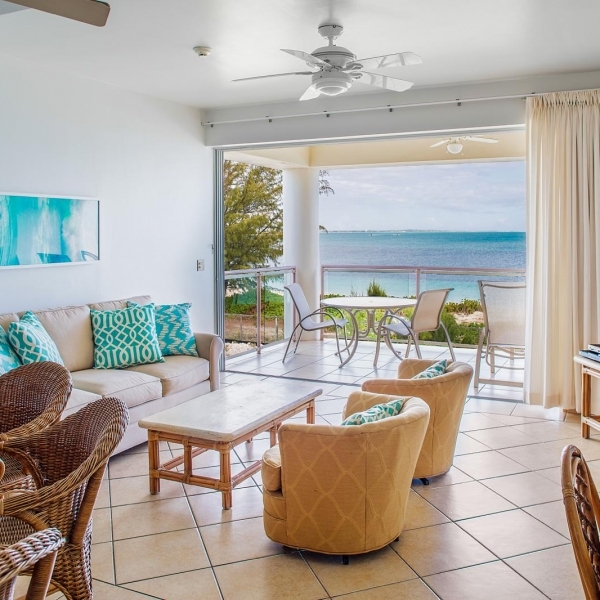 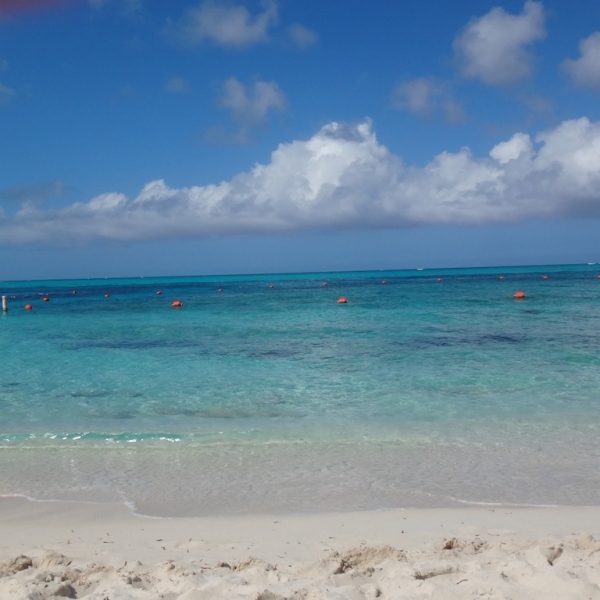 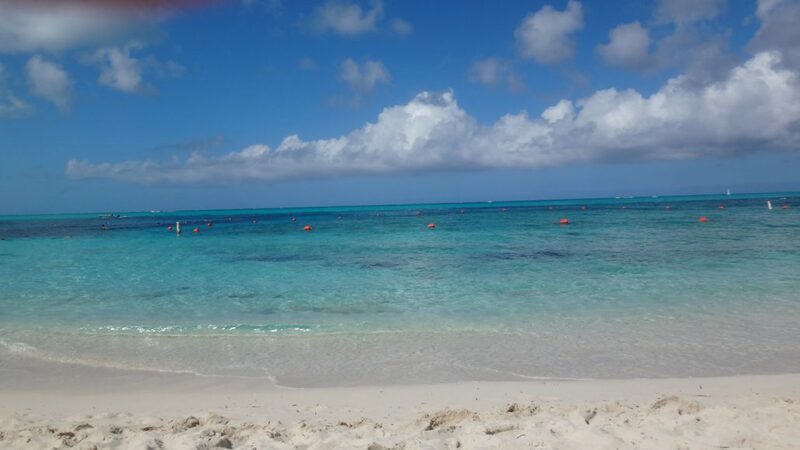 We where just a few short steps to the pool and the beautiful beach at Grace Bay. 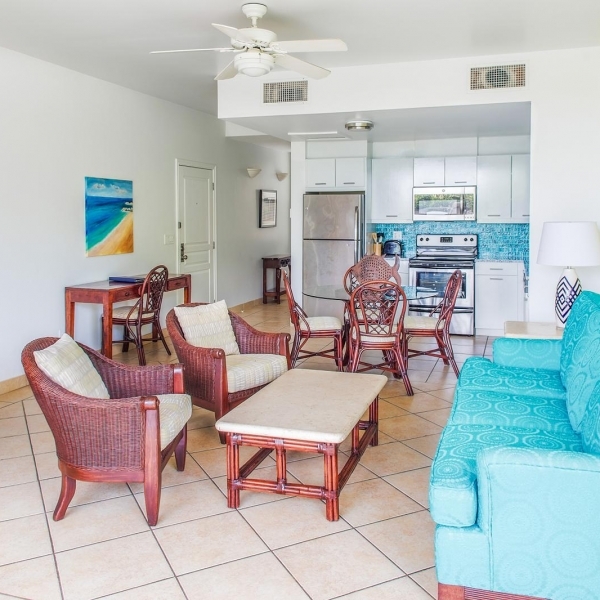 The Property Management team, was very helpful when we arrived getting us settled and providing some references. 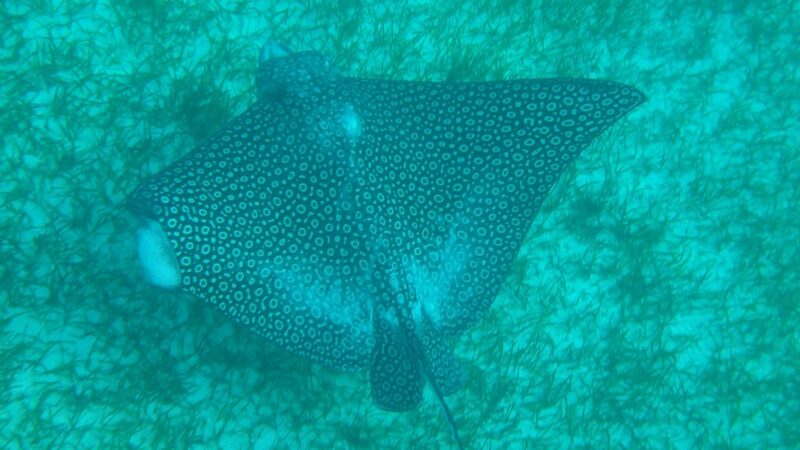 We enjoyed the Shark Bite, LUPO and Mr Grouper for dinner and Shay Cafe for breakfast. 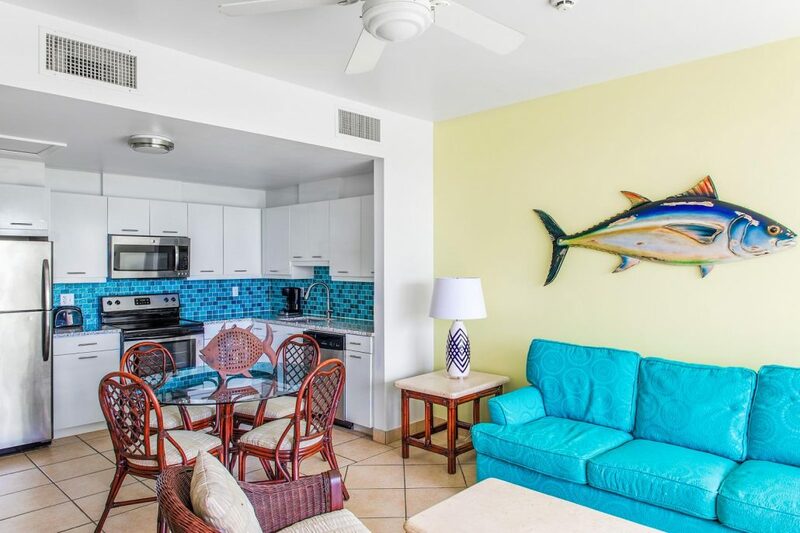 I would highly recommend this condo and location.